Few Florida residents will ever forget the Casey Anthony murder trial. The young mother had been accused of killing her 2-year-old daughter, Caylee, but was surprisingly acquitted of murder. One of the key figures in the case was Casey’s father, George Anthony, who Casey accused of abusing her as a child. In November, Mr. Anthony was involved in a devastating car accident in Volusia County. According to the Orlando Sentinel, he had driven off Interstate 4, which caused his car to flip. Some had speculated that George Anthony had attempted to commit suicide, but he insisted that the crash was purely accidental. Apparently, the left rear axle broke on his 1999 Toyota 4-Runner, leading directly to the rollover. The crash has left Mr. Anthony with serious injuries, which viewers of the Dr. Oz show saw for themselves when George appeared on the program. In particular, Mr. Anthony injured his spinal cord and has to wear a halo, which immobilizes the neck. He has been undergoing outpatient rehabilitation but, given his advanced age, probably will not make a full recovery. Friends and family members have set up a crowdfunding page for him with hopes of raising $100,000 to cover medical expenses. George Anthony’s accident was just one of many on Florida’s dangerous Interstate 4. Only a few years ago, Interstate 4 was rated the most dangerous highway in the entire nation, beating out the other 70 interstates around the country. According to a study, the highway experienced 1.41 fatalities per mile from 2010 to 2016, which is a staggering number. Interstate 4 beat out other dangerous highways, including Interstate 45, Dallas to Houston, and Interstate 17, Phoenix to Flagstaff. Interstate 95, which runs from Miami all the way up into Maine, ranked #5 on the survey. Why is Interstate 4 so dangerous? Although it has seen quite a bit of construction over the years, the primary reason is congestion. Too many vehicles on the road increase the likelihood of an accident. The project should be completed in 2021 and should see a dramatic increase in the safety of the highway. You can visit the project’s website for updates. If you are injured on I-4 and another driver is to blame, you should consider bringing a lawsuit for compensation. 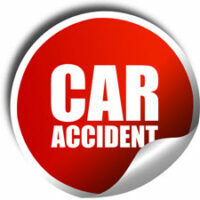 Bundza & Rodriguez is a leading car accident firm in Volusia County. We represent people injured in rollovers, rear-end collisions, and T-bone accidents. To schedule a consultation with one of our attorneys, please call 386-252-5170.